Twelve months ago the combined project of literature and country music known as The Other Half was premiered to the stylish twin towns of Biddulph and Birmingham. 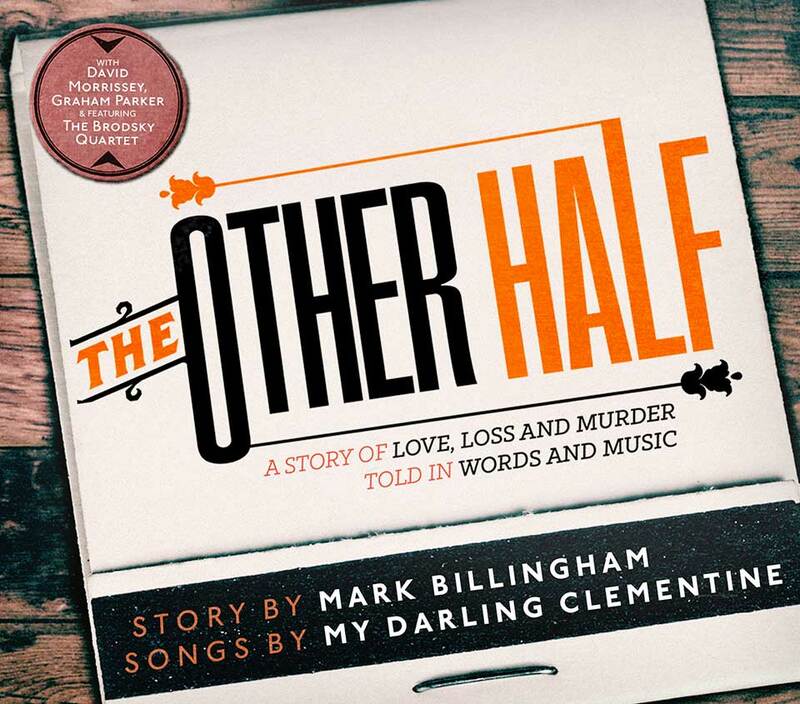 A year on and the brainchild of top selling author Mark Billingham and the UK’s finest purveyors of enriched traditional country music My Darling Clementine has grown considerably in the guise of many theatre showings and the release of the audio CD. This evening the circle was almost completed as the production returned to the studio theatre of Birmingham Rep and served up a real treat to many new fans mainly attracted by the show being part of the city’s extensive literature festival. 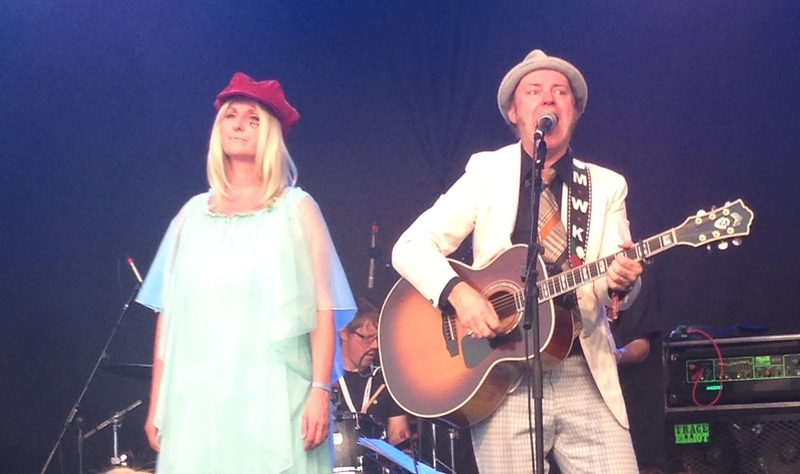 The challenge for the show’s architects, Michael Weston King and Lou Dalgleish of My Darling Clementine alongside Mark, was to freshen it up to entice back those who attended the Birmingham event last year and have subsequently acquired the CD. While the core of The Other Half is Mark narrating the story and the band interspersing songs, there was scope for some juggling and it actually was not too difficult to discover a slight adjustment. Whereas last year’s show virtually panned out as a narration first half and mini gig second half, this time the production was more along the lines of the CD with the band adding an extra theme to the beginning and ending. Without hesitation getting hold of the CD is recommended just to admire the story telling acumen of Mark and listen to the inspiration provided by the wonderful prose laden songs of My Darling Clementine. However attending the live show reveals an added dimension where enhanced focus illuminates the story aided by Mark’s impassioned and theatrical narration. The wit, chemistry, sincerity and artistry of My Darling Clementine are raised to another level on stage, whether like tonight in a duo format or when their accomplished band is assembled. As earlier mentioned the narration and songs were lifted from the CD so no need to regurgitate it here. Striding onto stage in their usual retro attire, Michael and Lou set the scene for the story with three of their songs that did not feature on the audio recording. ‘Departure Lounge’, ‘King of the Carnaval’ and ‘100,000 Words’ could have quite easily been weaved into The Other Half, but tonight they were further reminders of the two excellent albums My Darling Clementine have under their belt. Without revealing too much about the ending of The Other Half, Mark, Lou and Michael thought we needed more misery to end the evening and this led to a four song finale of some of the finest examples of classic country being hailed as the wallowing sad song genre. So two George Jones numbers led the way and there were few excuses for not being aware of ‘Good Year for the Roses’ and ‘She Thinks I Still Care’, even if you only have a minor interest in country music. The George Jones thread continued with a version of a song he sang a duet with Gene Pitney on, ‘That’s All It Took’ before Mark joined the guys to complete the evening with a crowd invited singalong to the popular Ray Price classic ‘Heartache By The Number’. The hazy memory of last year’s show suggests that the refining of The Other Half live production has improved the experience with the blending of the songs into the script having a more profound effect. This levered synchronicity paid dividend with the only final thought being what next for The Other Half and the collaboration between Mark Billingham, Lou Dalgleish and Michael Weston King. Whatever happens next, immense enjoyment has been derived from engaging with the project. Just one final thought, I was always curious about another story crying to be told from the HOW DO YOU PLEAD? album; Over to you budding authors.